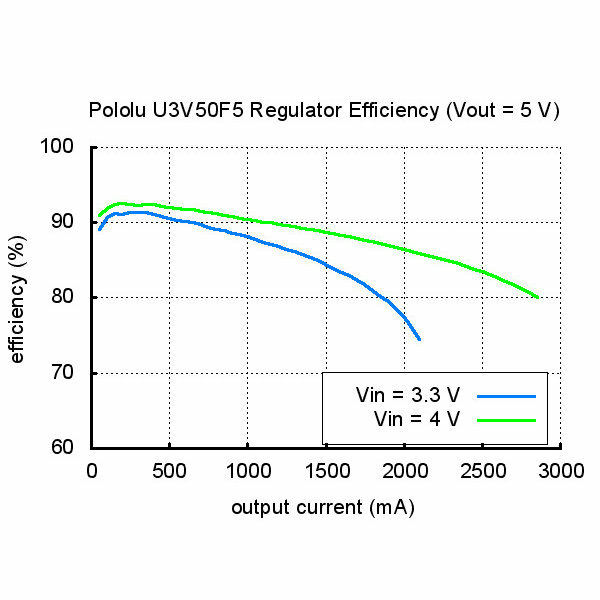 This Pololu 5V Step Up Boost Voltage Regulator can handle currents as high as 5 amps. 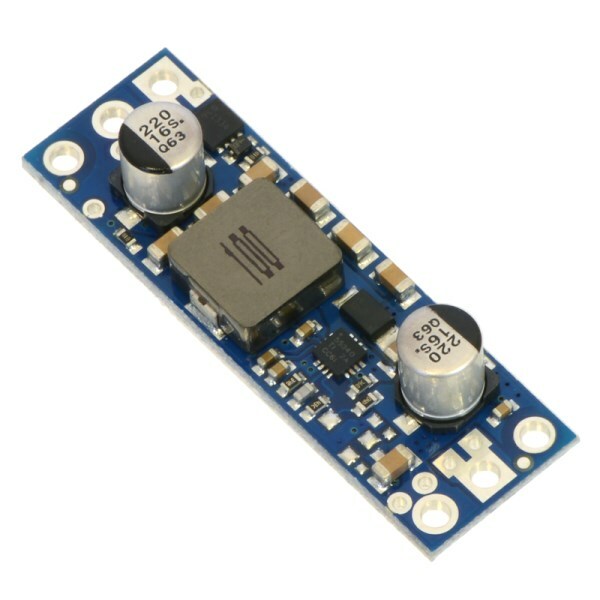 This powerful boost regulator can produce a steady 5V power supply from as little as 2.9V. It features DC-to-DC switching regulator design with a typical efficiency of 80-90%. 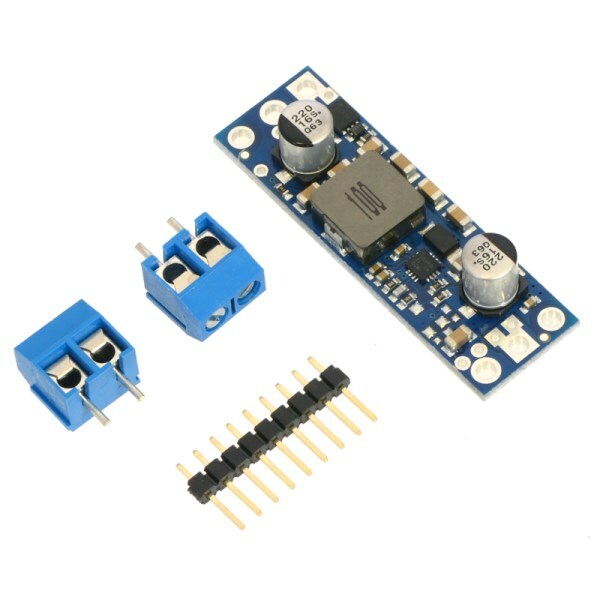 Safety features include reverse voltage and over current protection and thermal shutdown. 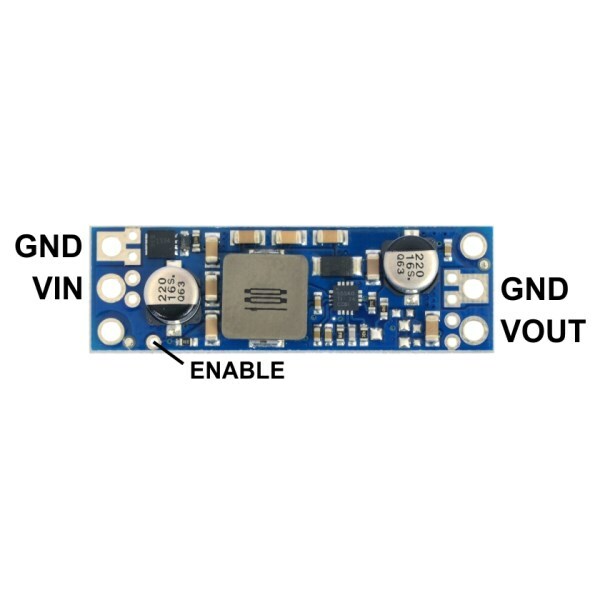 Connect a 2.9-5V power source to voltage input (VIN) and ground (GND) pins. 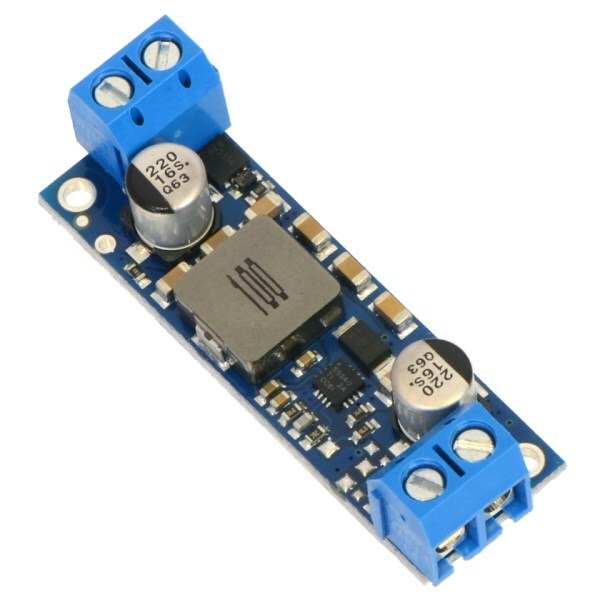 Access the fully regulated 5V output at the voltage out (VOUT) and corresponding common ground (GND) pins. We recommend leaving the optional ENABLE pin disconnected to disable sleep mode. 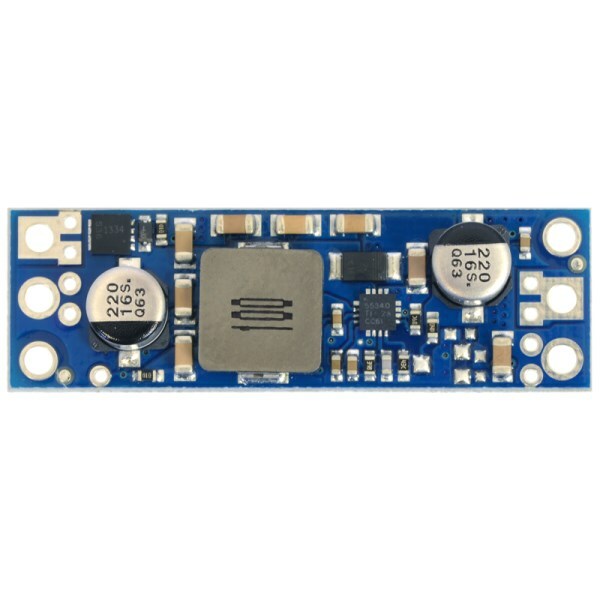 The ENABLE pin can be driven low (under 0.7V) to put this module into a low power sleep mode but this allows the input voltage to pass directly to your circuitry. You probably don't want that. This package includes a set of male header pins and screw terminals that require soldering. This allows you to choose the connection method that is most appropriate for your application.